The Five Mile Montessori and Overland Montessori classrooms provide primary education for children ages 3-6 years old, including kindergarten. After reviewing the information below, please contact the lead teacher to have a tour of the classroom and to better understand our educational curriculum. We look forward to meeting you and your family. Overland is open 7:00 am to 6:00 pm. Five Mile is open 7:30 am to 6:00 pm. Both classrooms offer a year-round curriculum. No enrollment deadline; however, we strongly encourage students to be present at the start of the new school year in the Fall to receive the full curriculum programming. The Summer session provides an easier transition time for younger students beginning a school routine. Spaces are filled on a first-come, first-serve basis. Children must have up-to-date immunization records and be toilet trained. Monthly tuition is based on a five-day-a-week attendance. You may check with the teacher to learn if a younger child may be eligible for a three- or four-day-a-week program. Hours for Overland Montessori is from 7 am to 6 pm; Five Mile Montessori is from 7:30 am to 6 pm. All students are asked to arrive no later than 8:30 am for the beginning of classroom instruction. Annual registration and supply fee of $70 per child. Tuition is due by the 5th of each month. Sibling discount of 20%. During the school year, no credit given for vacations, holidays or sick days. 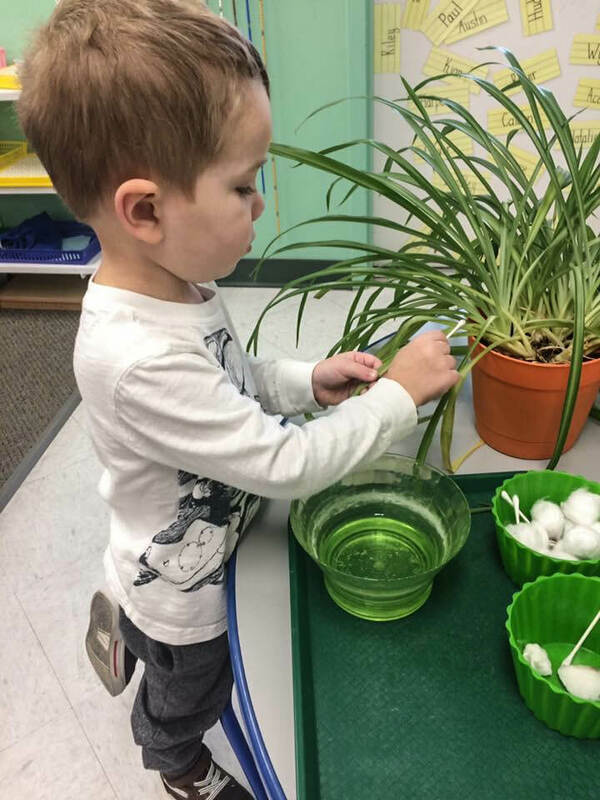 ICCP accepted at Overland Montessori. Want to learn more? Schedule a tour today.